dvdPean is a DVD to MP4 AAC, DVD to WMA, DVD to RA RAM, DVD to APE FLAC OGG VQF Ripper, Rip DVD Audio soundtrack to Mp3 Wma Wav Ogg Ra Ram AAC Mp4 APE FlAC file format. DVD to MP4 WMA RA APE FLAC OGG VQF - dvdPean is an up to date audio DVD extractor which provides a simple, fast method to rip DVD to Mp3 Wav OGG VQF, Rip DVD to Wma (windows media Audio), rip DVD to RA(Real Audio), Rip DVD to MP4 AAC (Advanced Audio Coding), Rip DVD to APE (Monkey's Audio Encoder), Rip DVD to FLAC (Free Lossless Audio Codec) file format, Using dvdPean, you are able to rip audio tracks out from a DVD with ease. No more multiple programs, no more complex progress. 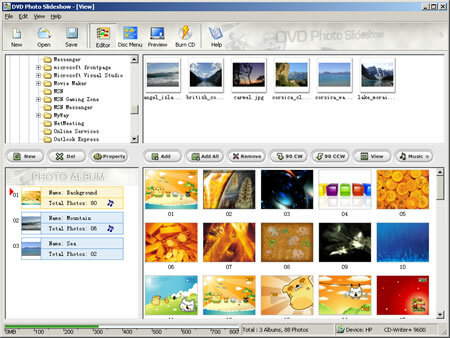 The software product is an ideal solution to music DVDs, concert DVDs and old movies. Listen to your favorite movies from now on! DVD to MP4 WMA RA APE FLAC OGG VQF - dvdPean is a software DVD soundtrack ripper which can extract sound tracks from DVDs to MP4 Mp3 Wma Wav Ogg Ra Ram AAC APE Flac file format. Create standard mp3 files with ID3 tag playable on your portable mp3 player, convert audio of each chapter to an individual file, rip from specified start time to end time, automatically shutdown computer. Support IFO files and ID3 tag. DVD Ripping DVD Ripping Tools can convert DVD and Rip DVD to AVI MPEG VCD SVCD DivX Xvid MPG, DVD Audio Ripping Tools can Rip DVD Audio track to MP3 WAV, Powerful DVD Ripping Software and DVD Audio Rip Tools are listed here!